Ann-Marie Wiese focuses on issues related to the education of young dual language learners. 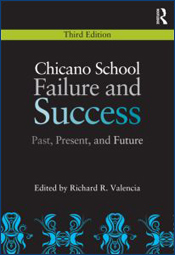 Wiese has contributed to various resources for the California Department of Education. Most recently, she co-directed the project that led to the development of California Best Practices for Young Dual Language Learners Research Overview Papers and the California Preschool Program Guidelines related to young dual language learners with a series of accompanying videos. Wiese led a local professional development effort for preschool practitioners that involved core seminars, on-site coaching, and a self-assessment tool of language and literacy practices to support the language and literacy development of young dual language learners. In her local community, Wiese served on the site council for a two-way immersion elementary school and the San Mateo County Child Care Partnership Council. Prior to joining WestEd, Wiese was an Assistant Professor of Education at the University of California at Santa Cruz and began her career as a bilingual teacher in a Spanish-English two-way immersion. Wiese received a PhD in education from the University of California, Berkeley.